Can You Lose Weight from Positive Thinking? Can you lose weight by saying affirmations and thinking more positively? A study done by researchers at the National Institute of Mental Health found that when people focus on future positive events, an area of their brain activates that triggers serotonin production. So instead of turning to carbs to raise your serotonin, you can simply make daily affirmations, or what I call Think Fit™, part of your life. This will naturally increase your serotonin and reduce your carb cravings, while also decreasing your cortisol levels and feelings of stress! Take a moment to think about the words you say to your children, your spouse, your parents, your friends. You undoubtedly tell them things like, “You can do it!” “You’re fabulous!” and “I love you!” And I’ll bet you’re usually courteous, kind and pleasant even to strangers in line at the grocery store. Quick self test: Have you honestly said these sorts of things to yourself recently? Probably not. And that’s the secret saboteur that’s been holding you back in your health goals! You may have been eating the right foods. 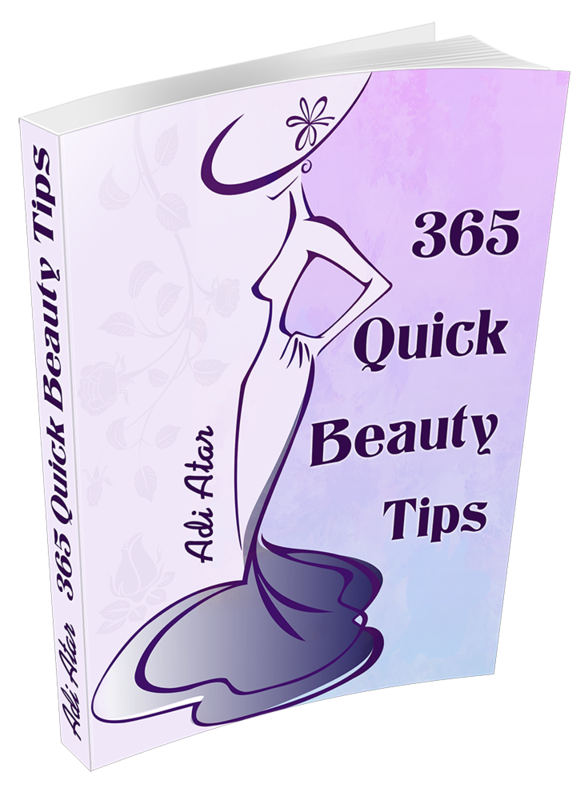 You may have even been minimizing your vegging-out time on the couch. But you likely haven’t given a thought to your thoughts. No one talks to you more than you “talk” to yourself. You can be your own best friend, or you can be your very worst enemy, depending upon the words you use for yourself. The thoughts that you think to work directly on your subconscious. 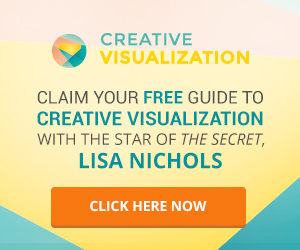 Now, where I get really excited is hearing that positive thoughts have also been proven to reduce carb cravings and bingeing, which can be a big saboteur of many eating plans. Increasing your serotonin levels with “Think Fit” helps with impulsivity, appetite, and food cravings. Carbohydrates help raise serotonin, so when your levels are low for whatever reason, your body looks for ways to fix that problem. It knows that eating sugar and carbs is one of the easiest, though fleeting, ways to do so. That’s why the cravings kick in. Pop quiz: Would you love your mom more if she weighed less? Would you be kinder to your best friend if her BMI were lower? Could you feel happier with your child if she wore smaller clothes? Of course not! Your love for them isn’t in any way tied to their waist measurement, BMI, or size. But what about your love for yourself? The trick to real happiness is to stop beating yourself up for what you are not, and accept who you are right now. This is also the key to your ability to make more positive changes in your life. You deserve to be happy, and you deserve to love yourself, whatever your shape and size. What do you like about yourself? What are the outstanding qualities that make you special? What are some instances where maybe you surprised yourself by showing extra kindness or goodness? Take a few minutes to explore what this means for you. Love yourself as a mother loves her newborn baby. Be as kind to yourself as you are to your best friend. Show yourself compassion, nurturing, and tender care. Embrace and forgive yourself. It’s the first path to freedom. Forget the negative words you used to say to yourself. Instead, think about the new positive words you’re going to be telling yourself from now on. “When the student is ready, the teacher will appear.” This Buddhist proverb is one of my favorites. And it’s especially apt for the journey you’re on, which is so supported by coaching. Today I want you to think about the different coaches you have had in your life. You might have called them “teachers” or “mentors.” Perhaps they were your parents or grandparents, athletic coaches, community leaders, or even bosses. For me, I am incredibly grateful to my mother, who was so influential in my life. For “extra credit,” send one or two of your coaches an e-mail—or, better yet, a handwritten note—expressing your gratitude. I guarantee that doing so will make your day, and it may very well make their month! When you are ready to be healed, the right teachers and coaches will appear for you. And they will be ready to help you, to heal you, so you can take your journey to the next step. Take a trip down memory lane: spend a few minutes thinking of the names of five of your most influential coaches. This quote by Robert J. Kursar is one of my favorites: “If you always do what you’ve always done, you’ll always get what you’ve always got.” Interestingly, it’s often attributed to both Mark Twain and Henry Ford. However, no matter who said it first, it surely bears repeating. If you’ve struggled with your weight, you probably think about food — a lot. You might spend a lot of time thinking about when you can eat, what you “should” be eating, what you can’t have, and so on. And after every meal or snack, the cycle continues, going on and on. Let’s remember that part of the process of creating healthy habits is changing the way we think and approaching things from a new perspective. Let’s try to implement methods in our lives that promote a new way of living. What is food to you? Do you see it as just sustenance? Is it a source of pleasure? Do you use it as a reward? Or for love? For so many of us, food is not only something we enjoy, but also something we offer to ourselves as a reward, and something we offer to others as a symbol of our love. Being mindful of how you perceive and use food is the first step in your journey toward a new, healthier relationship with it. Write down some of your thoughts about food, and brainstorm ways that you can reframe them in a healthier way. 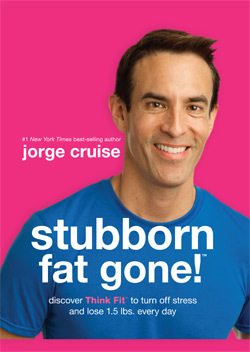 About the Author: Jorge Cruise, used to be 40 pounds overweight. Today, he is internationally recognized as a leading celebrity fitness trainer and is the #1 best selling author of over 20 books in 16 languages, with more than six million books in print. He is a contributor to The Steve Harvey Show, The Dr. Oz Show, Extra TV, Good Morning America, The Today Show, The Rachael Ray Show, Huffington Post, First for Women Magazine, and the Costco Connection. He hosts The Jorge Cruise Show with over 12 million listeners. 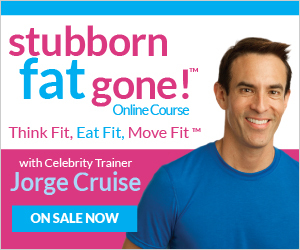 Now he is offering a culmination of three lessons – Move Fit, Eat Fit and Think Fit in his new book, Stubborn Fat Gone. Jorge has discovered that it’s the combination of exercising, eating smart and thinking positively that will ultimately help us to lose weight and that stubborn fat.